Bengaluru: Votes for the crucial Karnataka assembly elections will be counted today, revealing the outcome of a much anticipated electoral battle with significant ramifications for next year's national polls. Political observers have said the result would likely go down to the wire, with a neck-and-neck race between the state's ruling Congress and challenger BJP. Several exit polls have predicted a hung assembly, and said former prime minister H D Deve Gowda's Janata Dal Secular or JD(S) would play the role of the kingmaker. In one of the most high-profile and bitterly fought elections in recent times, 222 of the 224 seats went to polls on May 12. 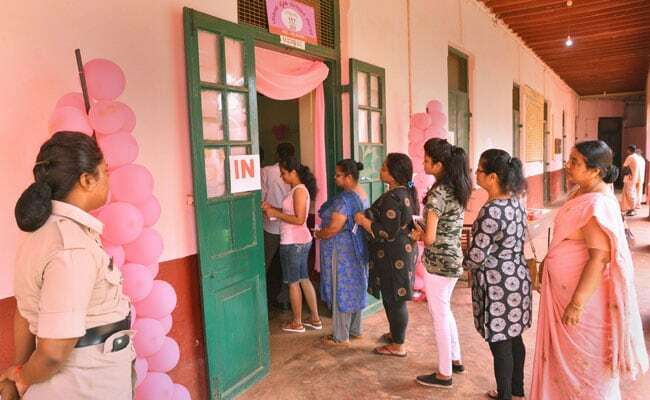 Polling for R R Nagar seat was deferred on account of alleged electoral malpractices, while it was countermanded in Jayanagar seat following the death of a BJP candidate. Counting of votes would begin at 8 am in nearly 40 counting centres, election office sources said. The trends are likely to begin to trickle within an hour and all results are expected to be declared by late evening. It is, however, unclear if Siddaramaiah will be the next chief minister in the event of a Congress victory. Though the Congress had said he would be its face in the elections, it stopped short of declaring him the party's chief ministerial candidate. Siddaramaiah caused a political flutter when he said on Sunday that he was ready to make way for a Dalit chief minister if the Congress high command so decided, a statement many felt was aimed at keeping the JD(S) in good humour so as to stitch an alliance in case of a fractured mandate. Siddramaiah is a former JD(S) man and his ties with Deve Gowda's party continue to be strained. "I am confident that the Congress would win the elections with a majority and I would be the CM," Siddaramaiah had told journalists earlier. However, when asked yesterday if he was ready to make way for a Dalit leader as chief minister, he said, "I have no objection. I am not against anybody but the decision has to be left to the high command." He, however, said the high command would also consider the views of the winning candidates before deciding the next chief minister. Since the Congress had not declared its chief ministerial candidate, Dalit veterans in the party like its leader in the Lok Sabha Mallikarjun Kharge and state Congress chief G Parameshwara are being seen as possible alternatives. Kharge had recently told PTI he was ready to take up any role assigned to him by the party. A victory in Karnataka would help boost the sagging morale of the Congress, which is on a downhill journey, losing state after state since Narendra Modi came to power at the Centre. Losing Karnataka will drastically weaken its claim for the leadership of a broader anti-BJP alliance that is being talked about. A victory for the BJP, on the other hand, will reflect the enduring charisma of Prime Minister Narendra Modi and his capacity to power his party to victory across the country, clearing demographic and topographical obstacles. It would also further galvanise the BJP cadre before the Assembly elections in party-ruled Rajasthan, Madhya Pradesh and Chhattisgarh later this year. The JD(S) has also claimed it would win a majority and that its chief ministerial candidate H D Kumaraswamy will be the "king" and not the "kingmaker". The party may or may not win the elections, but will play the kingmaker if the electorate give a split verdict,making Deve Gowda an important player in the state politicsonce again. With the JD(S) having had partnered with both BJP and Congress in the past, it would be tough to predict which way it will go this time in the event of a hung House. One of the possible scenarios could be the coming together ofthe Congress and the JD(S), as had happenedin2004 when they formed the government under Congress heavyweight Dharm Singh after the state elected a hung House. If that happens, JD(S) may not agree to Siddaramaiah heading a coalition government and likely want a Dalit leader at the helm.